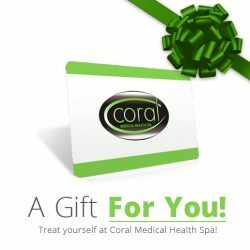 At Coral Medical Health Spa in Windsor, Ontario, we offer the newest in Filler Treatments including the TEOSYAL family of filler treatments and products. In addition to TEOSYAL Filler Treatments, we also offer a number of Medical Cosmetic Treatments including Cosmetic Hyaluronic Dermal Fillers by Juvederm. We also specialize in Laser Hair Removal and Intense Pulse Light Photorejuvenation by Palomar Medical. A great addition to TEOSYAL Filler is BOTOX Cosmetic which is also offered at the spa. The TEOSYAL Filler treatment is administered by Dr. Zoia Sherman M.D. Dr. Sherman is a board certified Anti-Aging Specialist and has years of experience treating deep wrinkles and lines utilizing TEOSYAL Fillers. A consultation is recommended with Dr. Sherman or her patient coordinator before proceeding with treatment. Hyaluronic acid is a natural, major component of our skin. As we age, its hydrating, lubricating and viscoelastic properties begin to deteriorate. Also, with age the upper and lower cheeks become sunken, wrinkles appear and the face’s oval shape is lost, affecting its overall harmony. The Solution: TEOSYAL – 100% hyaluronic acid-based and of non-animal origin. There are different formulas to treat each indication by means of a virtually painless injection: banish deep, narrow wrinkles, remodel your face to add volume, plump and redefine your lips and rehydrate your skin deep down. The result is immediate and natural. Your skin remains smooth and supple. The cumulative effect of multiple sessions ensures optimized results. Ultra deep is defined as the gentle way to give volume, and last up to 12 months. It helps with the redefinition of facial contours through the correction of very deep wrinkles within thick skin. The treatment can be used for cheeks, cheekbones and facial indentations. It can also help correct mild ptosis and fill in deep wrinkles on thick skin. Ultimate can create intense volume for the cheeks, cheek bones, chin and temporal area, and lasts up to 18 months on average. TEOSYAL Ultimate is ideal solution for sagging skin and the loss of fatty facial support. Specially designed for remodeling faces requiring large volumes of product, Ultimate enables significant improvement of facial harmony by increasing subcutaneous tissue, creating volume (in the upper cheeks, cheeks and chin) and ensuring the immediate correction of deep skin depressions. Its rheological properties ensure high volume-creating capacity for a perfect remodeling of the face. Filling of all moderately pronounced wrinkles on the full face, and last on average up to 9 months. The treatment is for filling linear facial wrinkles and skin breaks such as slight or moderately marked nasolabial folds, and lines around the mouth. Kiss helps to harmonize volume and lip contour and lasts on average up to 9 months. 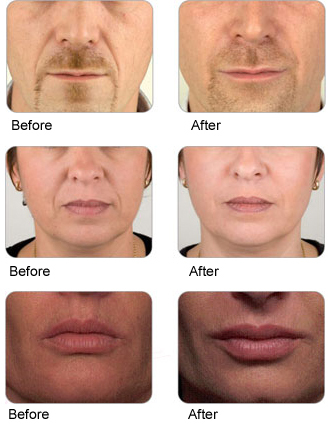 The treatment helps to boost lip volume and correct moderate to deep marionette lines. The formulation provides higher cohesivity for a safer, longer lasting result. Please contact us for additional information and pricing, and schedule a Consultation.